I first began to tell tales to delight the world and make it wiser. 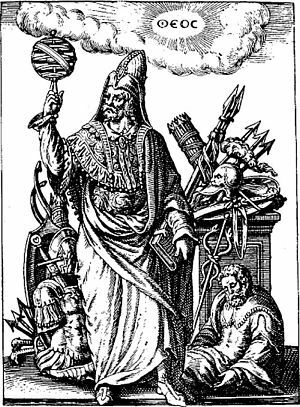 In a world of fools, I was, I think, to him one of the greater fools. For really, dreaming is the well-mannered people's way of committing suicide. I think it will be truly glorious when women become real people and have the whole world open before them. I have a feeling that wherever I may be in the future, I will be wondering whether there is rain at Ngong. 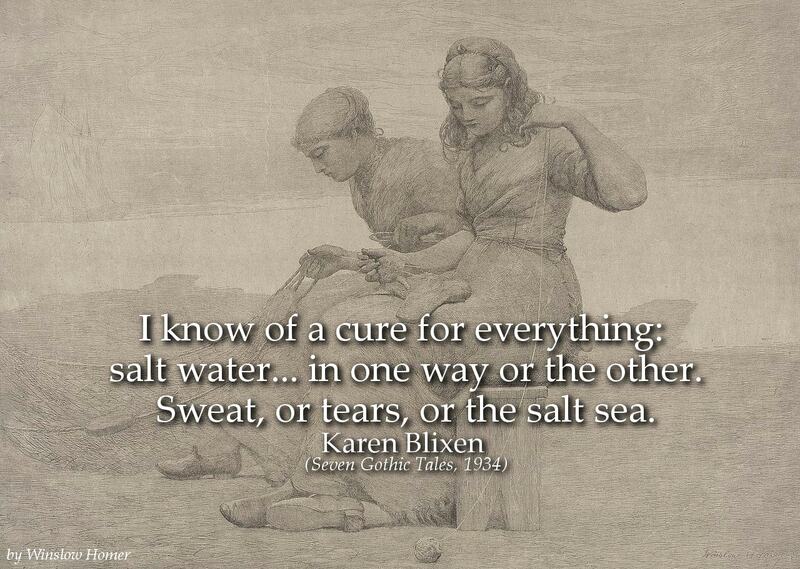 I know of a cure for everything: salt water... in one way or the other. Sweat, or tears, or the salt sea. Why, you are to become a story teller, and I shall give you the reasons! Hear then: Where the storyteller is loyal, eternally and unswervingly loyal to the story, there, in the end, silence will speak. Where the story has been betrayed, silence is but emptiness. But we, the faithful, when we have spoken our last word, will hear the voice of silence. The Kikuyu, when left to themselves, do not bury their dead, but leave them above ground for the hyenas and vultures to deal with. The custom had always appealed to me, I thought that it would be pleasant thing to be laid out to the sun and the stars, and to be so promptly, neatly, and openly picked and cleansed; to be made one with Nature and become a common component of a landscape. It is a sad hardship and slavery to people who live in towns, that in their movements they know of one dimension only; they walk along the line as if they were led on a string. The transition from the line to the plane into the two dimensions, when you wander across a field or through a wood, is a splendid liberation to the slaves, like the French Revolution. But in the air you are taken into the full freedom of the three dimensions; after long ages of exile and dreams the homesick heart throws itself into the arms of space. Karen Blixen, also known for her pen names Tania Blixen and Isak Dinesen, was a influential Danish author. 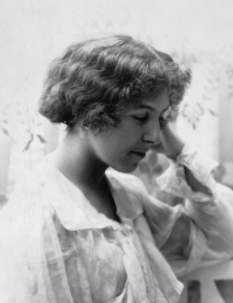 She is best known for her works in both English and Danish, the most notable one being her memoir Out of Africa.